Highly desired. 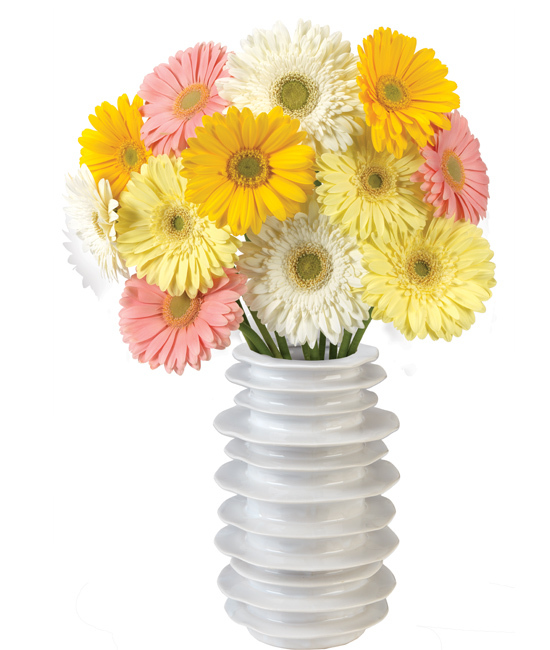 In a few words, this bouquet is pure love and happiness, charming any lucky recipients To further elevate the Gerbera daisies’ we’ve given them a modern twist in our funky white ribbed ceramic vase. Gently remove the protective nets from each blossom; the petals will gradually unfold to their full state. 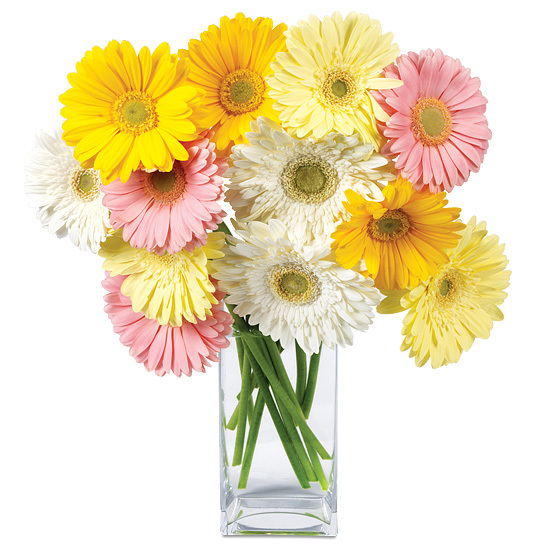 Fill your vase with approximately 5 to 6 inches of water depending on its height. The fuzzy stems of these flowers decompose quickly in deep water. To make sure the stems stand straight, support their heads while rehydrating. Bending is a natural attribute of this flower. Always add fresh water daily to hydrate the flowers.